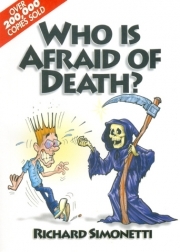 WHO IS AFRAID OF DEATH? - Spiritual body - Problems in the Great Transition - Abortion - Suicide - Euthanasia - Cremation - Fatal Accidents - Cemeteries - Funeral - Premonition - Death of Children These and many other topics discussed in this book. The author describes the circumstances and problems associated with the return to the Spiritual Word. In these pages reader will find an invaluable contribution so that age-old fears and anguish that disturb people when with death can be overcome.